Vice President M. Venkaiah Naidu on Saturday said Hinduism is not a religious concept but the “broader cultural identity” of the nation. “Living for others is part of our culture, Indian culture, Bharatiya culture…whatever you call it. 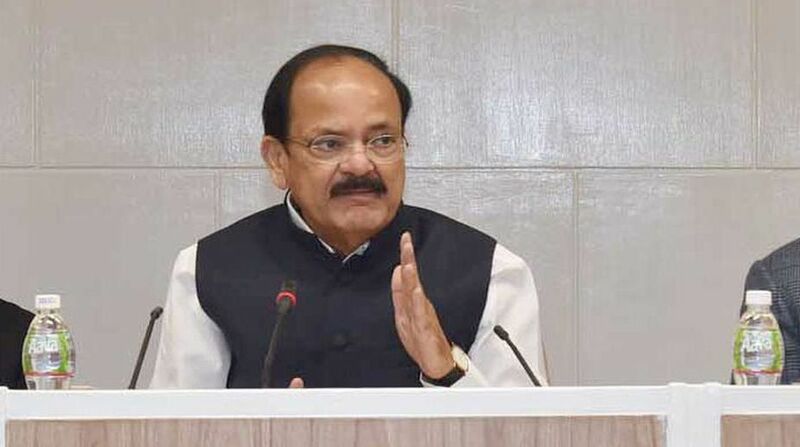 According to me, Hinduism is not a religious concept but a broader cultural identity of India,” Naidu said here at a prize-giving ceremony organised by Krishna Foundation, a charitable entity. “Religion is a way of worship. When we talk of culture, it’s a way of living,” he said, adding that despite differences based on castes, creeds and regions, India is one. The Vice President said: “We have ‘inherited a great civilisation’ and we must preserve it by eradicating the social evils which persist in the country. “In the 70 years of independence, the country has struggled with many evils — poverty, corruption, illiteracy, terrorism, religious fundamentalism, atrocities on weaker section, gender discrimination… These things really need to be taken care of. We must see to it… ” he said. India was known as “vishwaguru” in the olden times, he said, which bore “men of calibre” and its mottos had been “Sarve Bhavantu Sukhinah” and “Vasudhaiva Kutumbakam”. “These are our mottos. This is the identity of our nation,” Naidu said. Social evils, such as untouchability and gender discrimination, must be isolated and condemned and “society must be educated on those lines”, he added. The first-ever Rashtra Sewa Awards, instituted by the Krishna Foundation, were given to P. Parameswaran, a scholar and social philosopher, and Yusuffali, an industrialist and philanthropist.